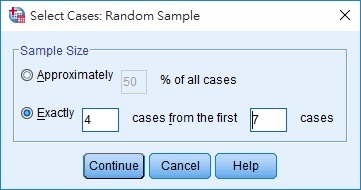 This SPSS tutorial explains how to conduct Simple Random Sampling using Select Cases in SPSS. In conventional simple random sampling, you need to assign an ascending number to each value of a variable and then generate a random number to help you select the corresponding data. 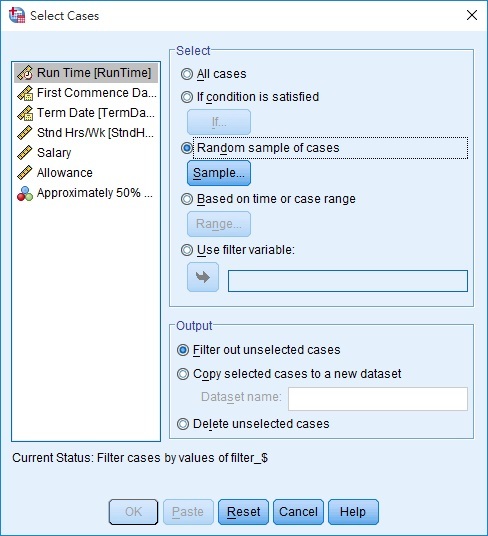 While SPSS can generate random number using Compute Variable, it is even easier to directly select some random data as sample using Select Cases. 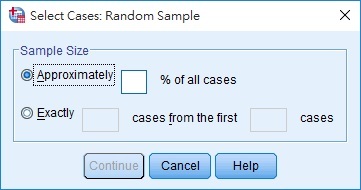 The first option is to filter a certain percentage of cases. But note that it is only “Approximately”, the number of cases filtered could vary significantly. Lets say we enter 50% in the box. 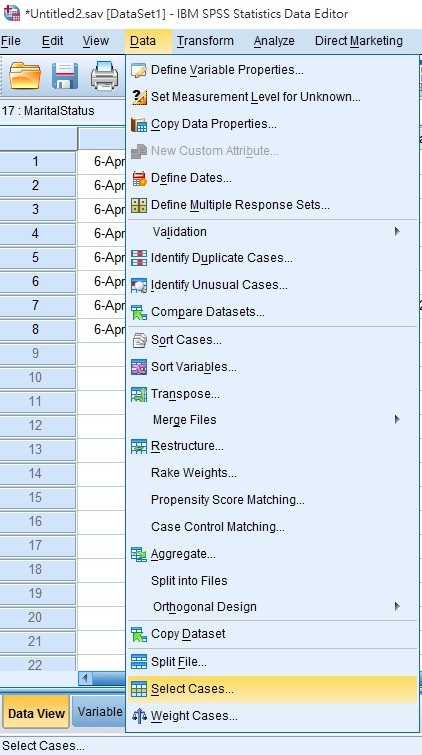 Go back to Data View and you can see only 3 cases out of 8 cases are filtered. Alternatively, you can specify how many data you need exactly. Go back to the previous screen and select the second option. Enter 4 cases from the first 7 cases. Click on Continue button and go back to Data View. Now you can see 4 random rows from row 1 to 7 remain.